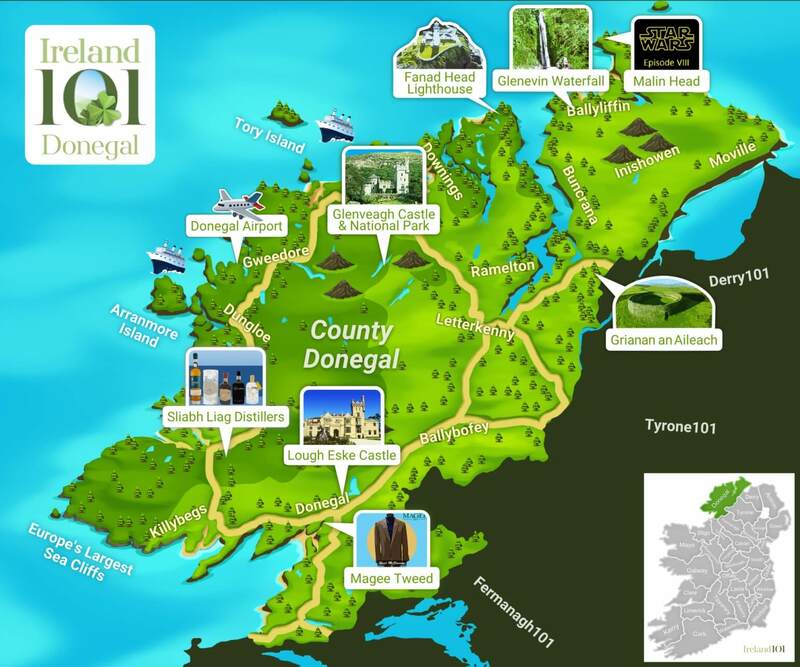 Ostensibly cut off from the rest of the Republic of Ireland in its northwest corner of the island, Co. Donegal is its own place. 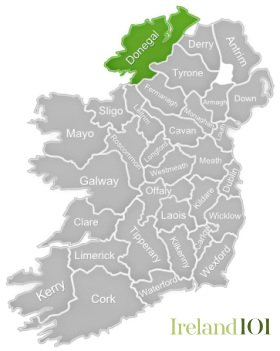 A border of less than 15 kilometres long offers passage between Co. Donegal and Co. Leitrim to the southwest – the only border that this isolated county shares with the Republic of Ireland. Co. Donegal beats to its own bodhrán. 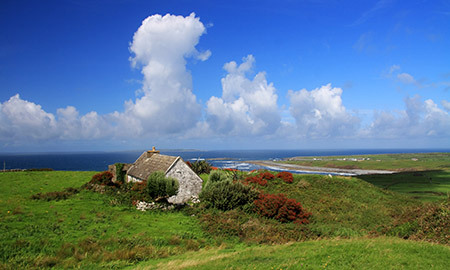 With the second largest Gaeltacht in the country and producing numerous musicians, including Enya, Rory Gallagher, Altan and Clannad, the county is indisputably Irish. 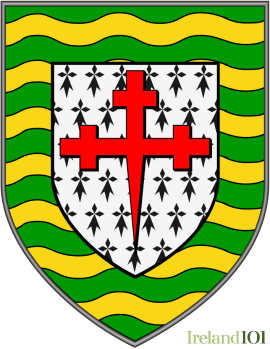 At the same time, its long economic and cultural ties to the city of Derry (Londonderry) and its huge borders with other Northern Irish counties have given it an unmistakable Ulster bent. But the fact remains that it really is different up there – Co. Donegal is a place like no other. The most cliché Donegal word is "rugged", but it's difficult to describe the county any other way. 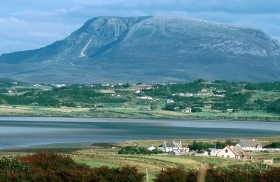 Its vast mountains, including the northern Derryveagh range and the southern Bluestack Mountains, were immortalised in the traditional tune, "The Hills of Donegal", while its sea coast, with the impressive Slieve League cliffs (among the highest sea cliffs in Europe) offers hillwalking with incredible views. 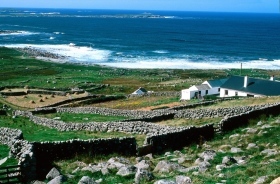 The Inishowen Peninsula consists of a series of rocky coasts culminating in Banba's Crown on Malin Head – the northernmost point on the island of Ireland. The rash North Atlantic waters along the Donegal coast also present diving and surfing opportunities. Rossnowlagh was one of the first places to be surfed in Ireland and now houses the largest surf club in the country, while Bundoran is considered to be one of the best places to surf in Ireland. 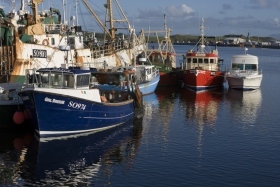 The Mevagh Dive Centre – the first purpose-built scuba centre in Donegal – offers year-round diving. 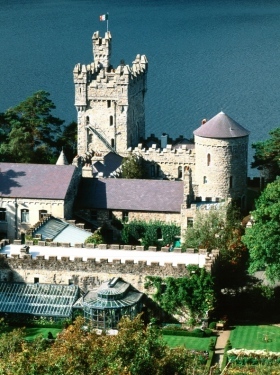 Beyond musicians, Co. Donegal has produced literary figures, such as playwright Frank McGuinness and philosopher John Toland. 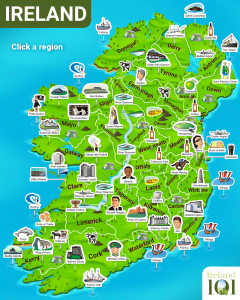 Moya Doherty, co-founder of Riverdance, was born in Pettigo, Co. Donegal. 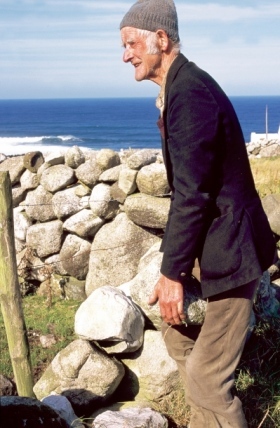 A man making a traditional stone wall in Bloody Foreland, Co Donegal. 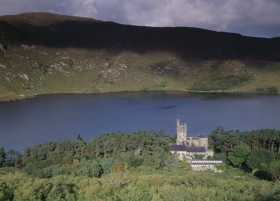 Glenveagh Castle in Glenveagh National Park lies in the heart of the Derryveagh Mountains in the north-west of Co. Donegal. How much do you know about Donegal ?